Irish Famine victims were heavy smokers which caused badly rotten teeth, new research from Queen’s and the University of Otago, New Zealand has found. The research was carried out on the teeth of 363 adult victims of the Great Irish Famine, who died in the Kilkenny Union Workhouse between 1847 and 1851.Their remains were discovered in an unmarked mass burial ground by archaeologists in 2005. 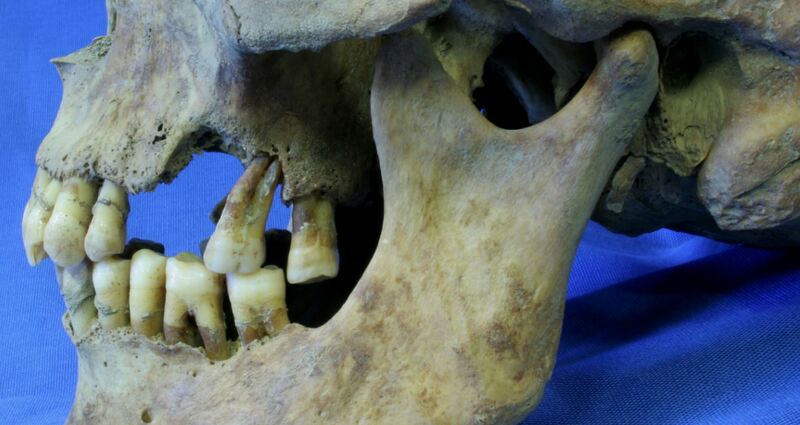 The findings showed poor oral health among most of the famine victims, with 80 per cent of the adult remains showing evidence of tooth decay, and over half missing teeth. There were also revealing signs of pipe smoking marks on their teeth. This is the first study that explores the relationship between smoking and oral health in an archaeological sample of a historical population. Professor Eileen Murphy, from the School of Natural and Built Environment at Queen’s, said: “This research is important as the current clinical understanding of how smoking affects oral health is not fully understood, and this study adds to that discourse. “As well as this, the study also gives us a unique insight into the living conditions of the working classes in Victorian Irish society at the time of the Great Famine. Smoking was evidently an important part of life for these people, a habit that they could enjoy amongst deprived social conditions and a very harsh and difficult life, but it may have contributed to their ill health." Dr Jonny Geber, from the Department of Anatomy at the University of Otago in Dunedin on the South Island of New Zealand, said: “We believe the bad condition of the teeth studied was because of widespread pipe smoking in both men and women, rather than their diet of potatoes and milk, as a comparative study of the 20th century population on the same diet didn’t have the same evidence of poor oral health. “Our study shows that it is not only diet that affects your oral health, but many other factors – and we believe that smoking was a major contributing factor in the Kilkenny population sample. “The high frequency of clay pipe facets or marks from clenching a pipe between the teeth in many of the skeletons was evidence of smoking in both males and females. Media enquiries to Jemma Greenlees at Queen’s University Communications Office tel: +44 (0)28 9097 3087.